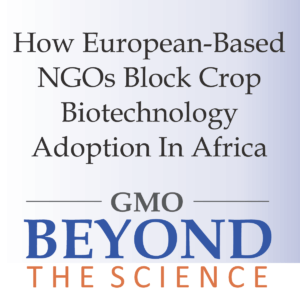 Even by the shaky standards of anti-GMO campaigners, ActionAid has set a new low with its continent-wide campaign trying to scare African consumers into believing that eating genetically modified foods will lead to cancer. A senior official working for ActionAid in Uganda has confirmed with UK’s The Independent that the charity has been visiting farms and marketplaces, showing pictures of rats with tumors as part of a media blitz designed to prevent GM technology from being legalized. “I am saying [to farmers] that GM foods could potentially cause cancer,” said ActionAid campaign manager Frederick Kawooya. ActionAid has also commissioned radio commercials on one of Uganda’s leading and most expensive radio stations warning of the “dangers” of eating GM foods. There is no scientific evidence of course that GM foods present any health concerns. The World Health Organization–the same group that recently issued a report warning that the herbicide glyphosate might pose health problems to agricultural workers if they use the chemical every day for decades–has decisively concluded that GMOs have “no effects on human health”. More than 100 major independent oversight organizations have reached the same conclusion: GMO foods are as safe or safer (because they are extensively evaluated pre-approval) than organic or conventional foods. The grotesque pictures Action Aid has been circulating were from the infamous Seralini study, which claimed that GMOs caused tumors in rats. In fact rats fed both GMOs and conventional food developed tumors–the breed used in experiments are bred to rapidly produce tumors. The study was eventually retracted, then later republished without peer review in what’s known as a ‘pay for play’ journal–the authors, including Seralini, paid their way to have the paper republished by bypassing critical independent analysis. Not one mainstream peer reviewed study has shown that GM foods cause any unusual health problems, let alone cancer. Public reaction to ActionAid’s ugly campaign has been loud. The UK’s liberal Independent headlined its story, “ActionAid: The charity spreading ‘groundless’ fears over GM”–“Exclusive: Independent investigation reveals how African farmers are warned of cancer threat that ‘doesn’t exist’, the paper wrote in its account–and the aid group was reamed by The Times as well. After being publicly called out, ActionAid told The Independent that the health warnings–which they have been relentlessly promoting in Africa for at least 16 months—“should not have happened and have been stopped”. Scientists have decried the campaign, noting that the GM projects being developed in Uganda are philanthropic and supported by leading global NGOs such as the Bill and Melinda Gates Foundation. ActionAid UK’s most recent accounts show it raises around £47m a year in Britain–a lot of it from small donations–and gives £1.43m in grants to ActionAid Uganda to support its local work programmes. According to the Independent, scientists said it was not an isolated incident and that some NGOs had been using “wildly inaccurate scientific allegations” as a campaigning tool to stop projects that could improve food security. were about to begin debating the Biotechnology and Biosafety Bill that would provide for regulations to oversee the process of release and adoption of GM crops in Uganda. In the face of safety concerns inflamed by the ActionAid campaign, the bill was eventually deferred by the Speaker for what he termed “further consultations” and it has since taken over 1 year to be included on the Parliament’s Agenda for debating and eventual enactment. In other words, ActionAid “won”. Uganda does not have a law in place and farmers still are struggling with various crop diseases whose solutions are under “lock and key” in research facilities across the country. In the wake of a firestorm of criticism, ActionAid UK is trying to distance itself from its ongoing campaigns–which echo its anti-GMO efforts around the world. ActionAid has tried to reconfigure its anti-GMO efforts as a rejection of the “industrialization of agriculture”, claiming along with many like-minded organizations that conventional farming methods, which include the use of genetic modification, act against “biodiversity”. ActionAid must be aware that most developed world economies went through an agricultural revolution that involved mechanization and industrialization–exactly what this NGO is now trying to prevent. It’s a form of western imposed cultural arrogance. Should Environmental correctness necessarily clash with the need for human wellness and survival? And should the poor be used to preserve what some environmental extremists simplistically call “biodiversity”? Analyzing ActionAid’s official positions on GM crops? Action Aid UK, the mother solicitor for funds that are being used to discourage research aimed at addressing farmers basic needs for food should not get away with pleading ignorance on its position that their various branches have taken. 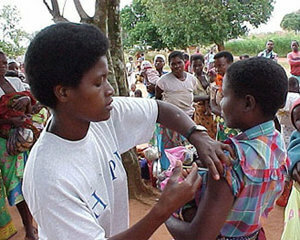 For example, on the ActionAid website, a report from Tanzania states, “The adoption of Genetically Modified (GM) foods in Tanzania is putting extreme pressure on farmers and their farm land to devastating results, when farmers should instead be feeding themselves.” This statement is a blatant lie. 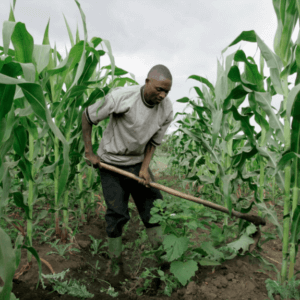 There are no GM crops being grown in Tanzania and the extreme pressure that ActionAid says GMO is putting on farmers and their farmlands is pure hokum. To ActionAid, any GM solution is no solution at all–and yet GM technologies are being successfully applied to generate resistant crop varieties that are meant to eradicate devastating banana bacterial wilt and cassava brown streak diseases which are destroying Africa’s very important food crops. ActionAid UK has distanced itself from the Uganda’s GMO cancer scare campaign but the damage has been done. The Uganda’s Bill that ActionAid ensured wasn’t passed was deferred by the Speaker and has taken over one year to find its way back on the agenda. Scientists have developed a variety that this is100% resistant variety while helpless farmers grapple with the destructive disease. In effect, stopping or delaying Uganda’s legislators from enacting a Bio-safety law has prevented farmers whose crops have been devastated by bacterial wilt from accessing resistant varieties that remain fenced off in confined fields. 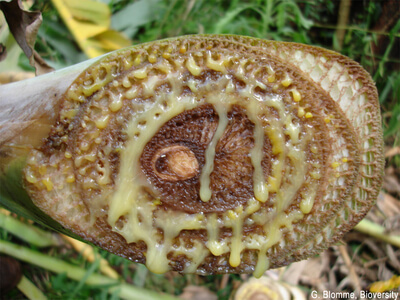 Banana bacterial wilt, caused by a xanthomonas bacteria can cause up to 100 percent yield loss. A farmer continues to spend money and energy in maintaining a banana plant but often what remains is only the pseudostem and rotten fingers. Bacterial wilt forces the fruits to ripen at a very early stage rendering it unfit for human consumption. 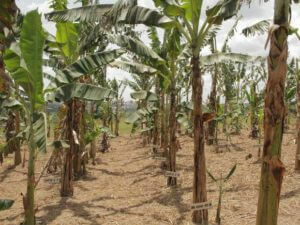 Uganda has spent billions of shillings promoting control measures but many farmers cannot manage the disease. Is ActionAid aware that in feeding anti science sentiments in Africa it is aiding food insecurity it says it is committed to addressing? Actually, more than half of GM crops are now grown in the developing world. Maize, cassava, banana, rice, potatoes, are some of the staples under GM research to address various problems from disease resistance to drought tolerance. In fact,cassava is referred to as ” a poor man’s crop”. Where is the “enough food” ActionAid is talking about? How can one access that food? Will the abundant food in my store in a neighboring company address the pang of hunger in my children’s stomachs? Does pest or disease offer any threat to the food ActionAid is talking about? Any honest response to these questions would show that ActionAid is not in touch with reality. ActionAid says that GM crops do nothing to address the issue of food shortages in certain parts of the world. That’s obviously a side issue to the new GM traits now being developed. When a GM crop is resistant to a disease that destroys the non GM crops, which of the two crops would produce more food? It appears to ActionAid food derived from GM crop is no food at all and has no capability of nourishing or perhaps it rejects the poor persons stomach preferring the rich person’s. On the issues of GM not addressing inequality and poor access to land, markets and resources, ActionAid makes it appear as if non GM crops can do that. GM crops are simply improved crop varieties; suggesting it should solve the problem of inequality created by both historical and current circumstances is pure ideology. Farmers in countries that Action Aid call poor like Uganda have been growing home saved seeds alongside hybrid seeds for decades. As these farmers have long since realized, most home grown seeds are not recommended for replanting because that segregates the traits of inferior parents. African farmers do save some food crop seeds from previous harvests such as from peas, millet, green gram, simsim because they have a minimum level of cross pollination making them stable over a period of time. But Africa can’t save seeds of many non GM crops because the quality is not high. Farmers import most of their vegetable seeds like carrots, onions, cabbage from Europe. Why is it okay to rely on non GM seeds from Europe but not use GM seeds from Australia, North America or Latin America? Africa’s staples are mostly crops that propagate vegetatively like cassava, banana, potatoes and yams that can be replanted year in and year out. Profit making companies are not interested in such crops for they would have less control over them. 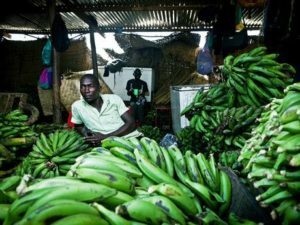 These are the new generation of GM foods that scientists working in Africa are trying to develop–foods that could dramatically help everyday Africans. Is it not obvious that GMOs, conventional improved crop variety or any other variety cannot solve the political cause of hunger. If crop failure due to pests and disease, poor yielding crops cannot cause hunger, then ActionAid needs to provide real aid rather than supporting propaganda efforts in behalf of negative campaigns in Africa. Uganda is second only to India in producing banana, and most of Uganda’s banana is consumed locally. Banana bacterial wilt has attacked bananas causing billions in losses annually. 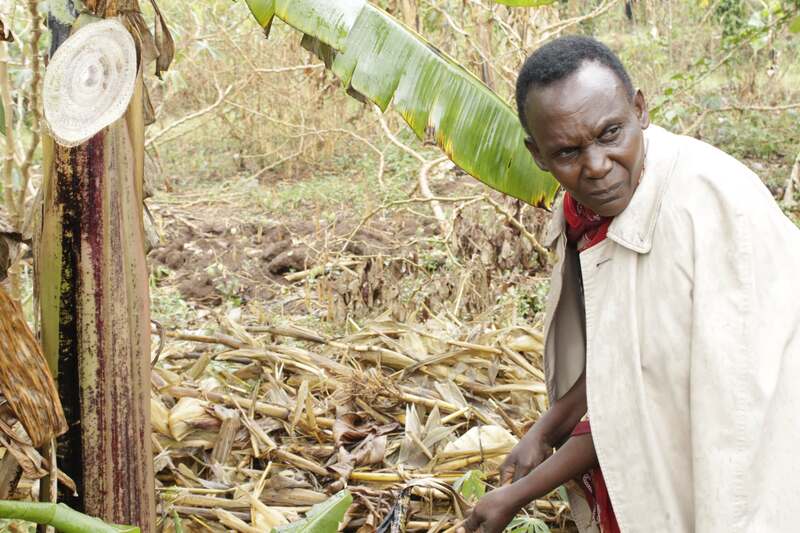 A farmer wastes time and money tending to a diseased banana plant but after one year, instead of getting the fruits, a farmer gets nothing. If that cannot cause hunger then nothing else possibly could. What does ActionAid fundraise for? 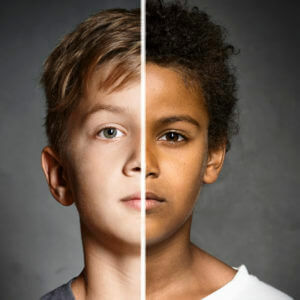 In its ad, “Sponsor a child with ActionAid”, there is a picture of a child the organization says is six-year-old–Elisa from the Democratic Republic of Congo. She’s holding a pink plastic dinner bowl, what Action Aid says is her only possession. Perhaps her other possession is the clothes on her back and the pink plate could be her parent’s or guardian’s. She has nothing else, it appears. “Please give a child like Elisa a future by becoming a sponsor with ActionAid,” the NGO pleads. These statements by ActionAid touch honest hearts of the thousands of people who donate their savings for what they believe is a genuine cause for humanity. To use that money for spreading lies and denying poor people food instead of channeling that money to feed children like Lisa whose pictures are exploited to raise funds to hurt farmers, the poor and the hungry is morally incorrect, humanly insensitive and socially unjustifiable. Isaac Ongu is an agriculturist, consultant on agricultural information dissemination and an advocate on science based interventions in solving agricultural challenges in developing countries. Follow Isaac on twitter @onguisaac.